“Anything off the trolley, dears?” If you’re a Potterphile like I am, the term pumpkin pasty won’t be too unfamiliar. 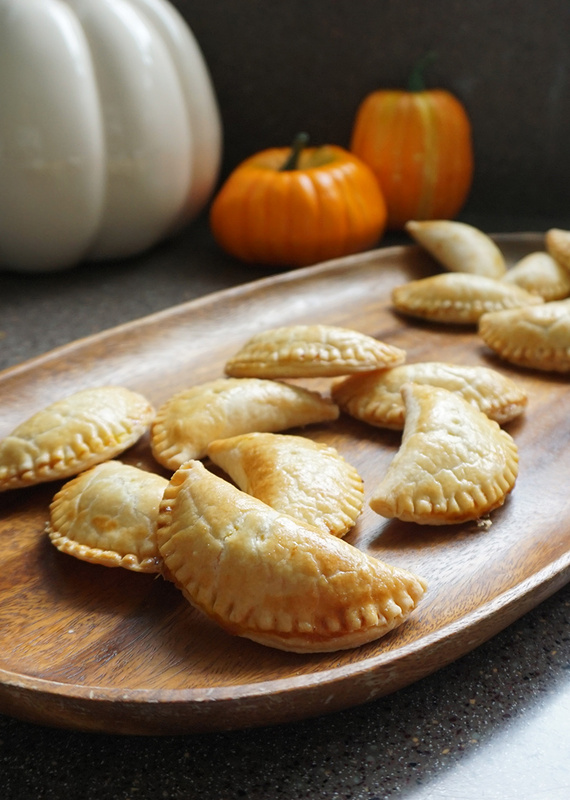 But I think most Americans assume pasties are a sweet tart instead of a savory meat pie. 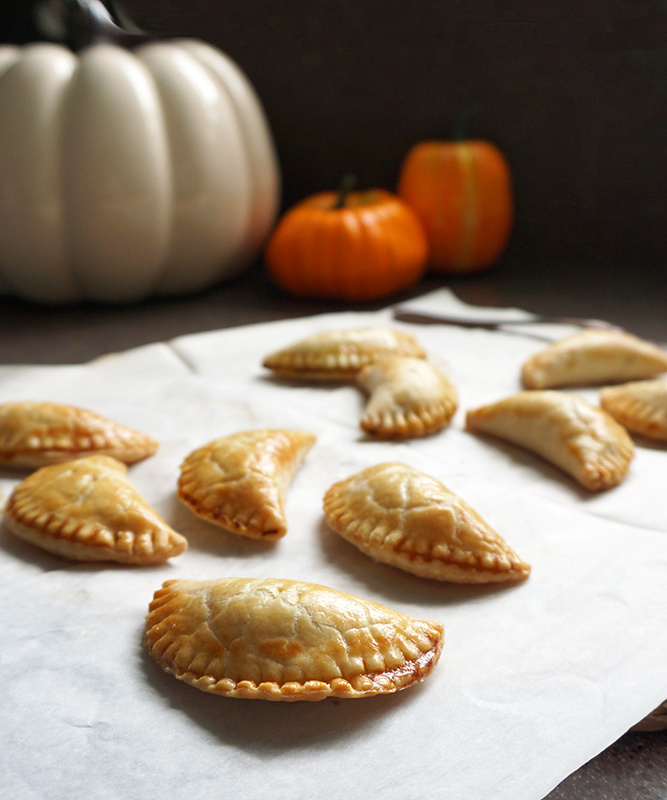 Most of the recipes I’ve seen for Harry Potter-inspired pumpkin pasties were sweet like pumpkin pie. 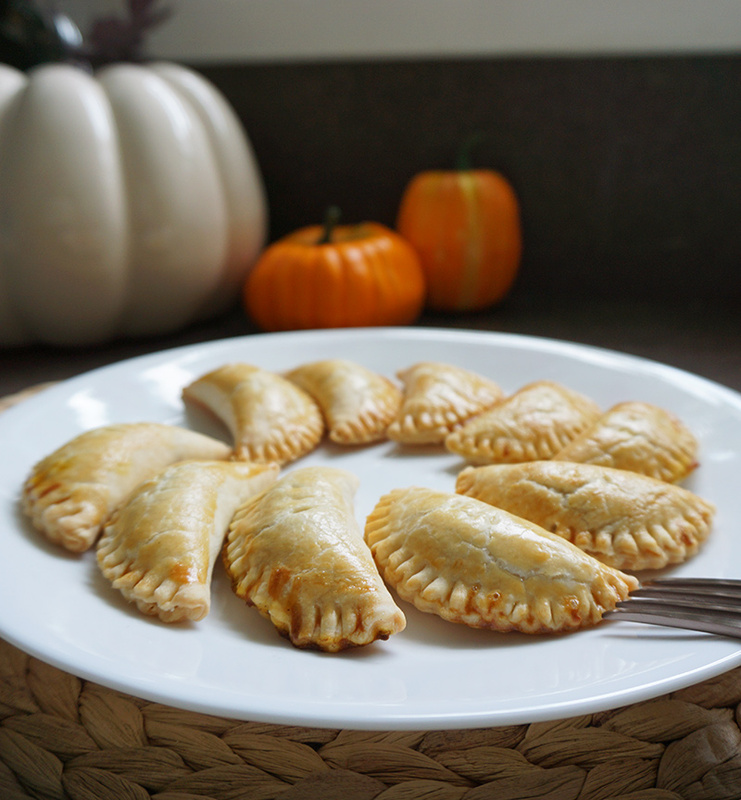 I figured if the Brits made a real pumpkin pasty, it’d definitely be savory, maybe with cheese, maybe with garlic, maybe all up in my gob! 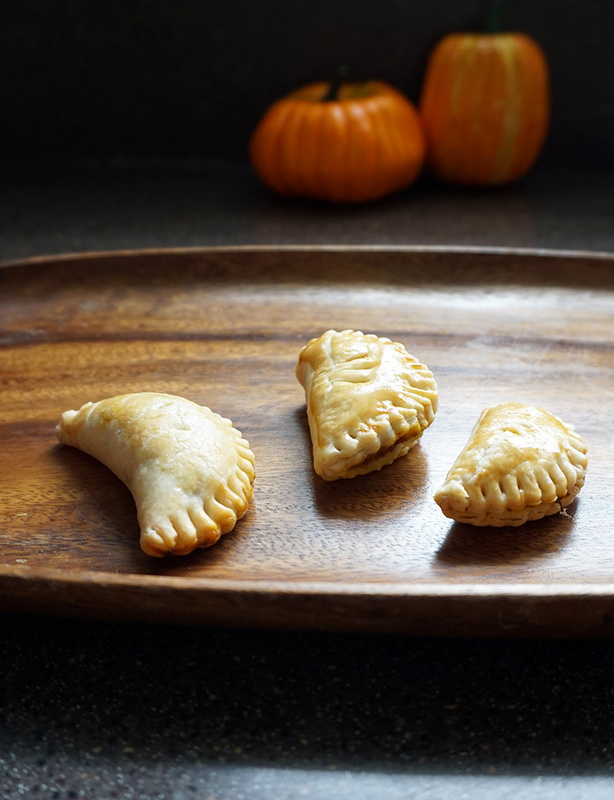 But then I was all, “wait I like pumpkin pie, too.” Thus, BOTH ways were born: a savory traditional-style pasty and a sweet, pumpkin pie-spiced version. I distinguished them by using a crimped pastry cutter for the sweet ones and a smooth pastry cutter for the savories (made easy with these two-sided cutters! ), but trust me, I still got them confused. Thankfully, both were totally nom-worthy so I didn’t mind trying them out. 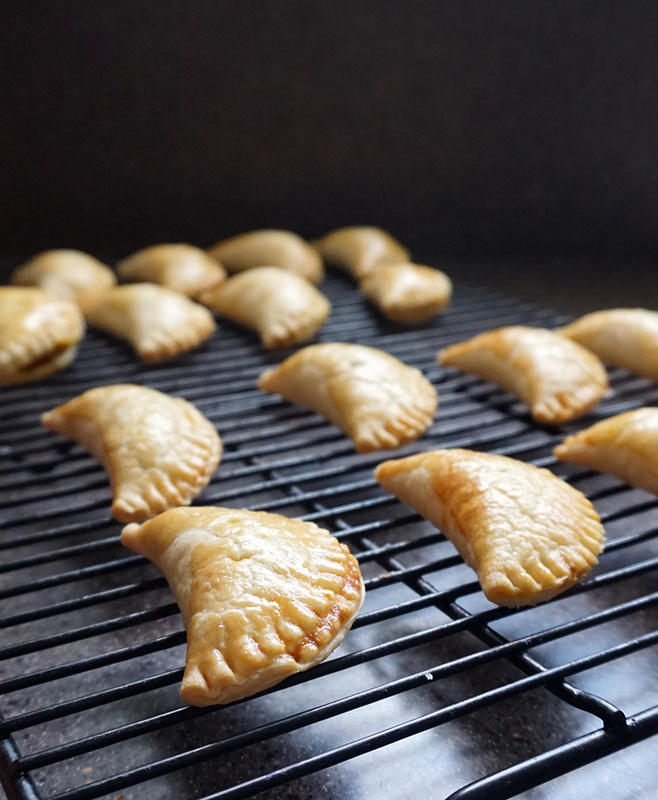 I went with tinier pasties this time around which were awesome, but I might try a larger pasty size next time just to maximize the filling ratio. I think having a little more filling may be just that much more yummy, more like a hand pie. Feel free to jump the four-inch pastry size to six or larger. 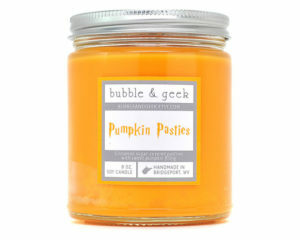 Pumpkin pasty candle to go with these? I’m secretly planning a Harry Potter spin on my Thanksgiving menu this year, so I imagine a version of this will feature prominently. We’ll see how that works out. No matter what, I’ll be posting that menu once it starts to get closer. It’s barely September, me, calm down. Never mind, don’t calm down, embrace the fun! Thaw pie dough in refrigerator overnight. Place parchment on (or grease) two half-sheet pans. 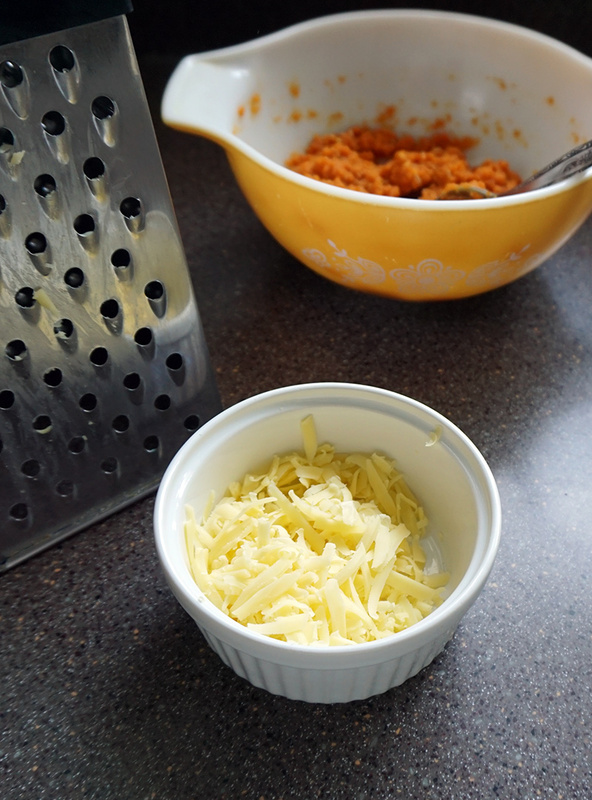 Mix pumpkin puree with room temperature butter in a large bowl, and stir in garlic, cheese, and seasonings (or just seasonings and sugar for the sweet version). Set aside. 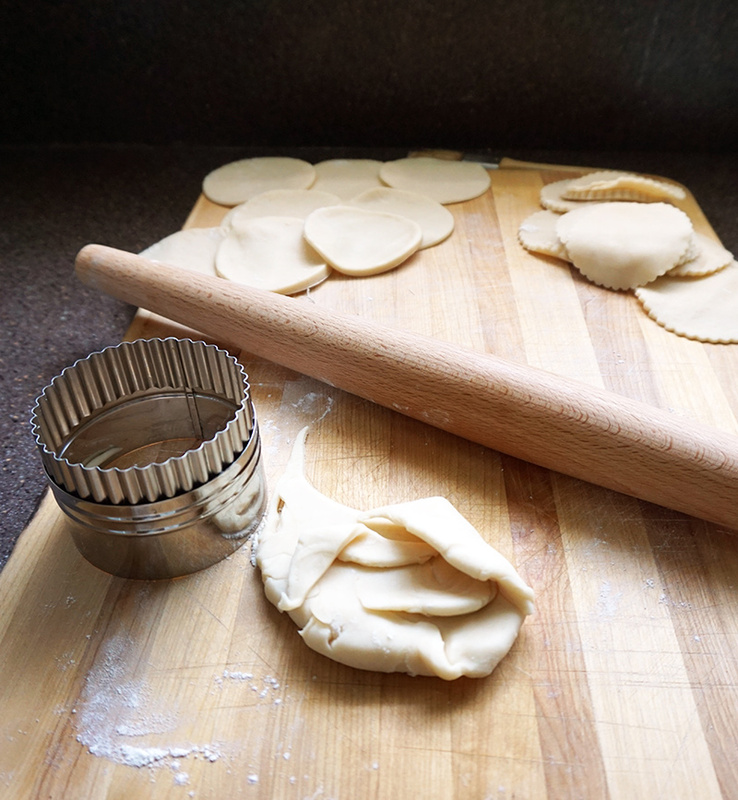 Dust a flat surface with flour, roll pie crust out to 1/8 inch thick, and cut into 4-inch circles (or larger, if you prefer) with a pastry cutter or edge of a glass. Spoon out a half teaspoon or less of the pumpkin mixture onto one side of the dough circles, fold over to create half-moons, and crimp the edges closed. Cut three tiny slits into the top of each to vent. 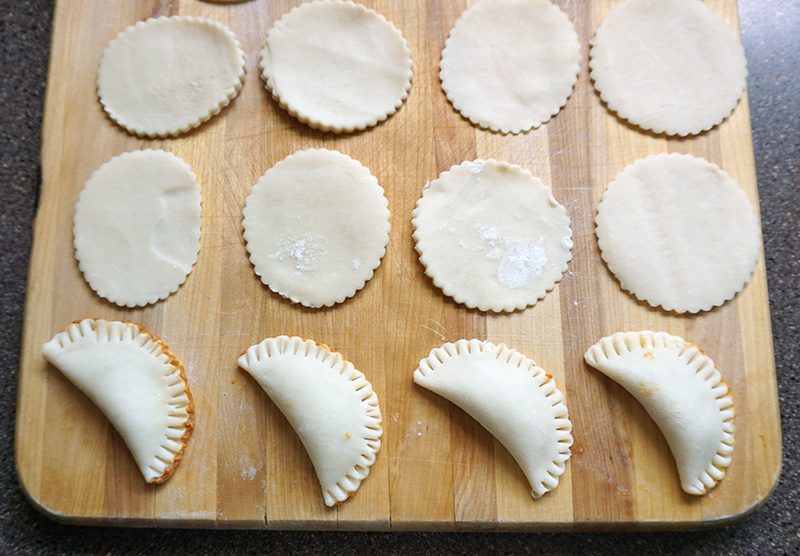 Transfer pasties to baking sheets, and brush each with egg wash.
Bake for about 15-20 minutes until lightly golden. Transfer to a cooling rack and let cool for 5 minutes before diving in. Yum!! I can’t believe it is already pumpkin season! 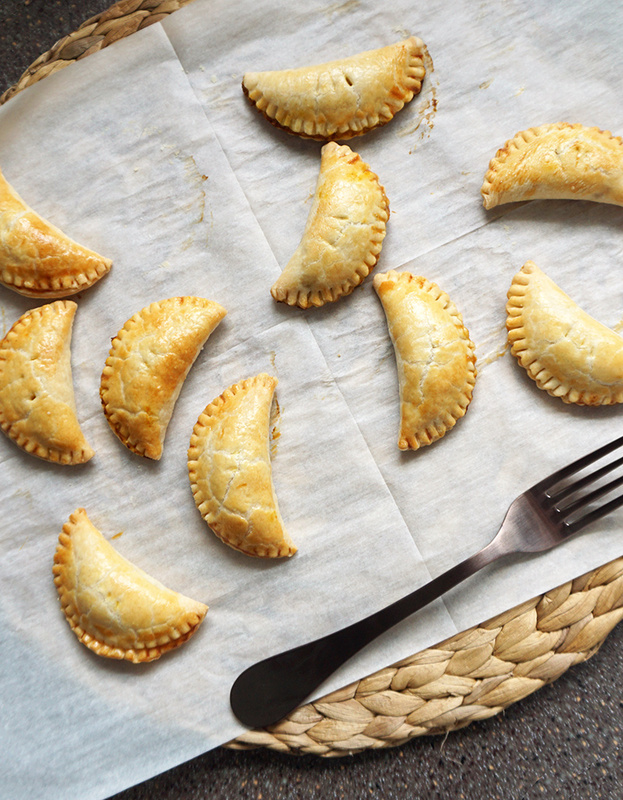 These look like little turnovers. It’s probably a little early, but I love it. 😉 And yep, basically little turnovers! These look so good! I need to try both 🙂 I’m a huge potter fan and any food inspired by the books always intrigues me! Long live Harry! So glad these worked out for you! The ready-made dough is such a great shortcut. Accio pasties! These look super tasty! How many does this recipe make? At Harry Potter World at Universal Studios, you can get pumpkin pasties at Honeyduke’s. They are sweet and delicious! I’m trying the sweet version here because I miss those things! Thanks for the recipe!! Hi! I actually just made them about an hour ago lol I used a 4” round and from two rolls of pie dough (they come 2 in a pack) from Pillsbury, I was able to make 18. I ran out of dough, but still had a little filling. If I rolled the dough thinner, I could have easily gotten 20. I hope this helps! I’m sorry if you already said this but I can’t find it >< how any does this make? Thank you for creating and posting this. I’ve made the savory ones for my daughters’ school luncheon. They are delicious and not junk food! I’m so glad to hear that, Carrie! Thanks for trying it out! Could I make these ahead and then freeze them? Thanks for the post- can’t wait to try them! 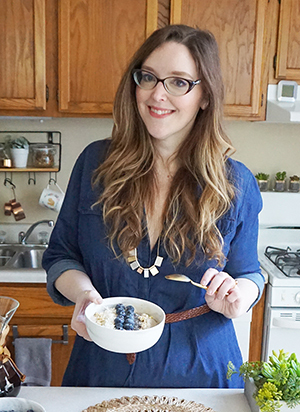 Could you tell me how many servings your recipes make? I’m so excited to try them out for a HP Friendsgiving I’m hosting in a couple weeks! Gah, that sounds so fun!! I’m jealous. Using a 4” round cutter and two rolls of pie dough , it’ll make about 18 pasties. I hope they work out! Thanks so much Catherine! I’ll be sure to tag you in the photos! They’ll keep for a about 2-3 days in the refrigerator, covered with foil or plastic wrap. I like to wrap some paper towels around them and use a large zippered plastic bag. To freeze, wrap them tightly with aluminum foil or a heavy-duty freezer bag. Try to eat them within 3-4 months. To reheat, let them defrost in the refrigerator and then re-heat in a 350˚ F oven for about 30 minutes. These sound delicious! My boys and I are going to watch a Harry Potter movie each week this summer and make a craft and recipe to go with it. We are definitely going to make these one night! Oh man, that sounds like an amazing tradition to start!! I tried both recipes yesterday. I loved the savory ones and my husband loved the sweet ones. The only change I’ll make is I improvised the pumpkin pie seasoning since I didn’t have any on hand and added too much ground cloves. Despite my mistake, it was a huge success! 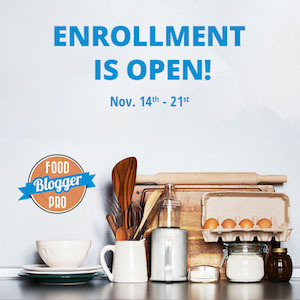 Thank you for much for the recipes! I’ll be making them again soon. 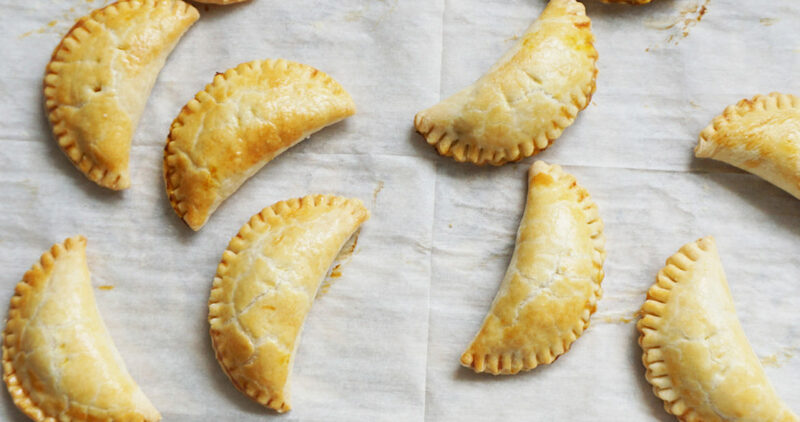 I have never made a pasty, and I am wondering about them for a potluck. Is this something I could make ahead and serve room temperature on the day? Do you think I would be able to use the Goya Dough Discs (typically used to make empanadas) to make these? I have two packs in my freezer that I would love to get rid of and this seems like the perfect thing to use them for. My husband and I watch the whole series of Harry Potter movies about once every 3 or 4 months! Sometimes a movie a night for 8 nights in a row or sometimes we try a Friday night movie and popcorn for 8 weeks in a row!!! We’ve done this for several years now. I am going to try both of these recipes but wanted to ask if it is really only 1/2 teaspoon of pumpkin (step 6 of the instructions)? That just doesn’t seem like enough to taste to me. Sorry Catherine. I was referring to the instructions (#6) that says to “Spoon out a half teaspoon or less of the pumpkin mixture onto one side of the dough circles”. I’ll just experiment and see how much of the filling works for me. Thank you for your response though! Thanks! I’ll let you know how they turn out! Thank you! I had the same question. My cutter is exactly 4 inches and it’s tiny compared to the dough. Hi there! These look fantastic and I look forward to making some. What would you recommend doing for a gluten free version, please? Of course gf pie dough instead of regular, but would you recommend adjusting the baking time? Should uneaten pasties be refrigerated? Yep, they’ll keep in the fridge for a few days. Can I freeze them before they are baked? Did want to let you know of a few tweaks; subbed butternut squash for pumpkin as I bought more than a dozen (so cheap this time of year!) as well as adding turmeric, cayenne and cumin for the savoury (Indian roommate led to flavour experiments and squashes+curry spices=match made in heaven) and a touch of vanilla and honey when I ran out of sugar for the sweet ones. Thank you for a wonderful recipe, Ms. Clark! I’m especially grateful you offered a savory version. I followed your recipe and made a nice big batch of both to take to a Harry Potter-themed party. They were a hit! I had to make some adjustments in a pinch/due to technicalities, maybe these will help other folks who try making these too. I didn’t have onion powder on hand so I substituted by mixing in 1tbsp + 1 tsp finely chopped fresh yellow onion. I also increased the amount of filling per pasty up to about a tbsp because it seemed I had plenty of room left inside (I doubled the recipe, got extra rolled dough, and ended up filling about 40 pasties); the casings still held up pretty well during baking though! I made these last night for a Harry Potter themed birthday party. I made a couple substitutes to the savory. I was out of just sage so used Italian seasoning, used white pepper instead of black pepper, and a mix of white cheddar and mozzarella. DELICIOUS!!! Thanks for the savory recipe. I may have only used it as a guideline but they turned out great. I used what was leftover from a can of pumpkin (I had used cheesecloth to squeeze it for our pumpkin juice) and rehydrated it with water & apple juice (only returned 2/3 of the liquid I took out). Instead of pie crust, I used refrigerated crescent rolls. I upped the butter (due to slightly dry pumpkin) to 3TBsp, upped to cheddar to almost 1/2 cup, and upped the seasoning to taste. 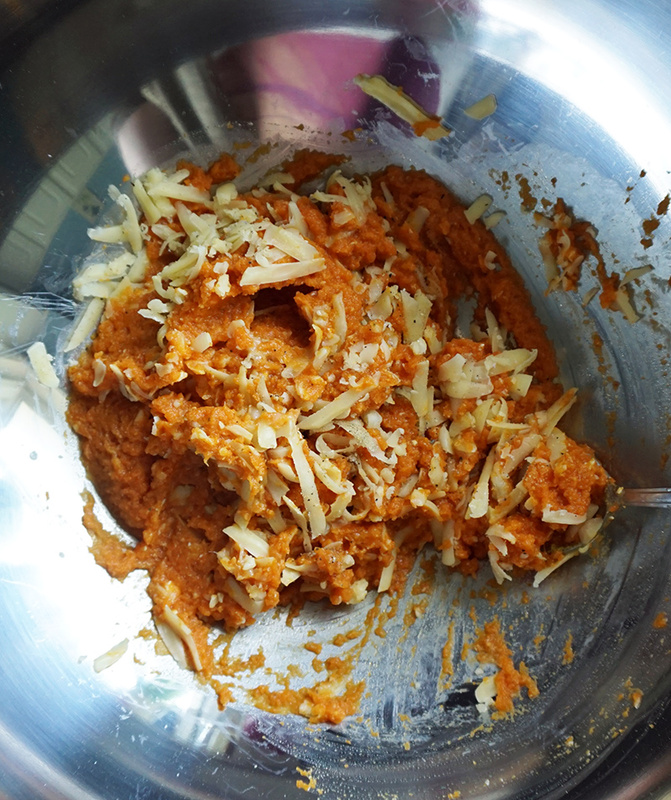 The pumpkin filling tasted like mashed sweet potatoes, but better. This sounds amazing. I must try these with crescent rolls! They’d be amazing for breakfast, I bet. I made them – they were so tasty! I made them to pass out from my trolley, which also had chocolate frogs, Bertie Botts, and Jelly Slugs. My lovely daughters and my niece just watched Harry Potter number 7 (after reading all the books, of course!!) and we celebrated with a Harry Potter party, including your pasties. Thanks for sharing your recipe, ever so much. Oh my gosh, your trolley of treats sounds SO fun. I can’t imagine how excited your niece must have been. 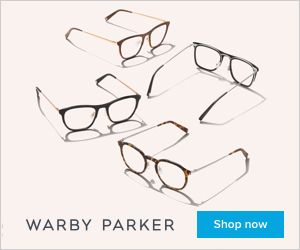 Thanks for including them! These are delicious! My 11 yo made the sweet ones almost entirely by herself. We followed the recipe exactly, adding only some colorful sugar (orange) on the top of the egg wash before baking. We made about 2 dozen using a 3″ cutter (that’s what we had on hand). They are so cute! She made them to add to a bday gift for a friend’s Harry Potter themed party. Thanks for sharing. AH, so glad you had so much luck with them! I love that they are easy enough for an 11-year-old to whip up, too. So rad. Also loving the addition of the orange sugar. Adorable. Thanks for trying it out! My family really enjoyed these! I might add a little bit more sugar next time because we love sweet, but overall, they were a huge hit! We also made the slits in the form of lightning bolts which added to the novelty. I just made the savory version to take to a Christmas party. They were easy and delicious! I didn’t have a pastry cutter, so I used a ring from one of my wide-mouth canning jars – I think it is closer to 3 inches than 4. 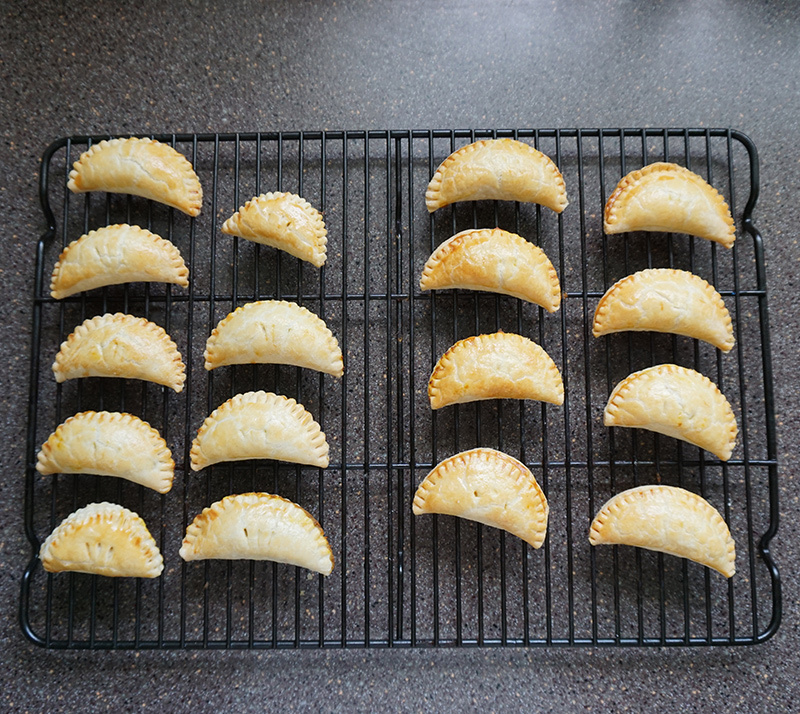 And I may have over-stuffed a few of my mini pasties…. they burst open while baking! Not as pretty, but no matter… in the end they were still delicious!